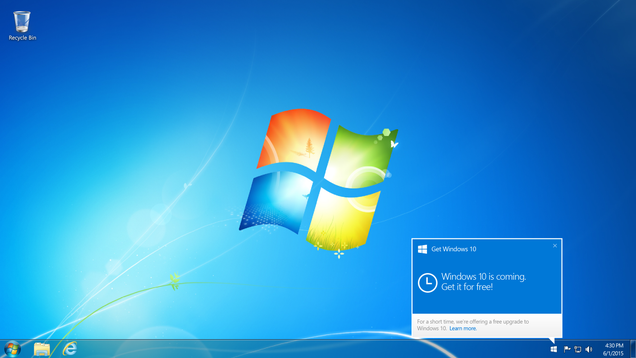 Microsoft just announced that Windows 10 will be out late next month. July 29 is the big day (at least for PC and tablets), with the OS available both digitally and in stores. Remember: in a break from the company’s previous launches, existing users of Windows 7 (SP1) and 8.1 will be able to upgrade for free. There’s obviously loads of new stuff coming along with the OS, but most of you will just be happy to have the old start menu back by default. Those wanting to get in line and setup their upgrade before July 29, notifications are now appearing in people’s taskbars.